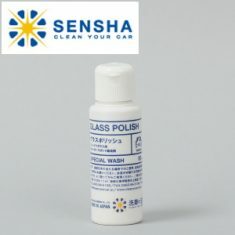 GLASS POLISH - SENSHA CO., LTD.
Utilized in professional Car Detailing or glass shops. 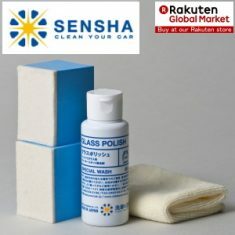 Glass Polish is the dedicated compound only for glasses and this product is popular to be use in professional car cleaning shops and glass or window shops. It has been developed for everyone to use with an ease to remove scaly stains on windows. 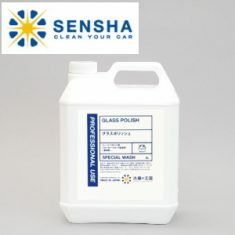 Glass Polish is easy to use for side window glasses because it is the paste type product (not liquid) so that it is not dripping easily. The majority of glass stain removers sold in shops cannot be used for front glasses. 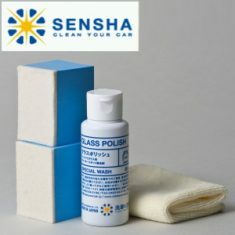 However, Glass Polish can be used for all type of glasses; the front windshield, side, rear, sunroof, door mirror etc. It is important to clean the glass and windshields on your car regularly in order to maintain maximum visibility. It only takes one track day, or highway cruise, to notice how quickly the windshield becomes impaired. Especially for those heavily weathered windshields.Glass Polish was developed to completely remove scaly stains on glasses. The compounds can be use to polish the reinforced glass. 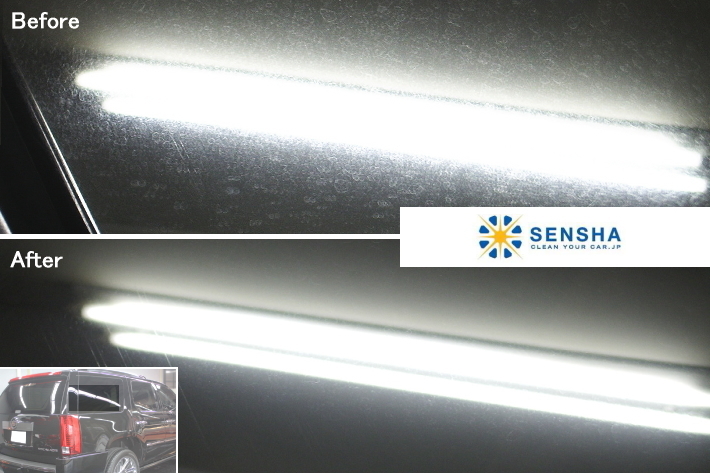 Since glass is the solid material, scaly stains on glass surfaces are almost impossible to be removed by oil film removers or compounds for paint surfaces normally available in the market. It is important to use the compound for glasses to improve surface conditions of car windows. 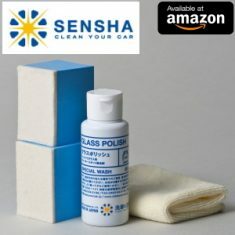 Our GLASS POLISH is available to handle all the problems of your car glass care, and see how surprising the results is.